If you, for some reason, looked directly into Monday's eclipse, you might wonder: Did I just damage my eyes? Southwest Airlines Passengers from Denver to Atlanta got a high altitude view of the total eclipse from 37,000 feet, spending almost an hour-and-a-half in narrow eclipse track. 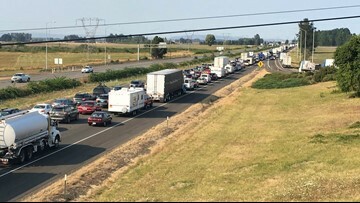 Minutes after the total eclipse ended, drivers hit the road to try and beat the traffic home. PHOTOS: Eclipse 2017 from around the U.S. 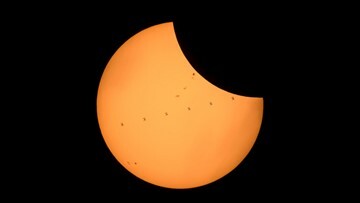 The International Space Station just photo-bombed the eclipse. Portions of 14 states are in the path of totality of the eclipse, when the sun is completely covered by the moon. 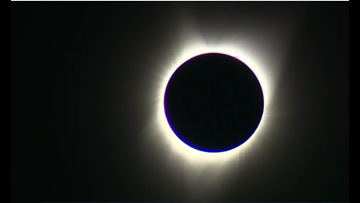 Totality begins in Oregon at 10:16 a.m. PDT. The total eclipse will end near Charleston at 2:48 p.m. EDT. The glasses were given out at stands on Sunday. 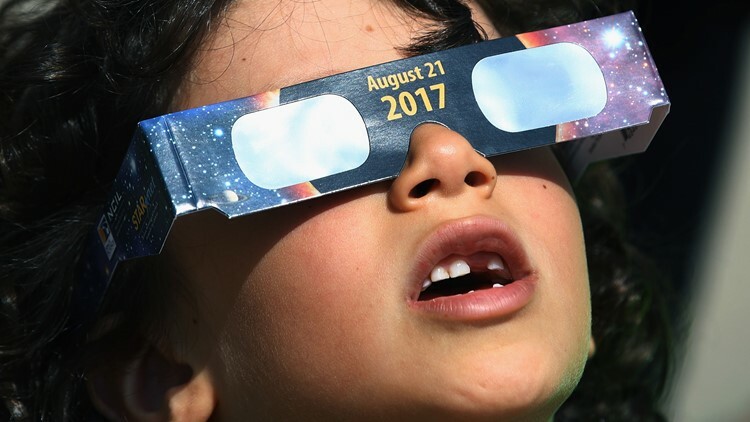 VERIFY: When is it safe to remove your eclipse glasses?